Hilaire Armstrong joined LSA in August 2017. A graduate of Samford University's Cumberland School of Law (2016), Armstrong has a strong passion for public interest work. While in Law School, Armstrong served as President of Women in Law, the Jefferson County Public Defenders Office, the Alabama Senate, and the Jefferson County Family Court. After completing a post graduate fellowship with Cumberland, Armstrong was the first to clerk for the newly-elected Circuit Court Judge Javon Patton. 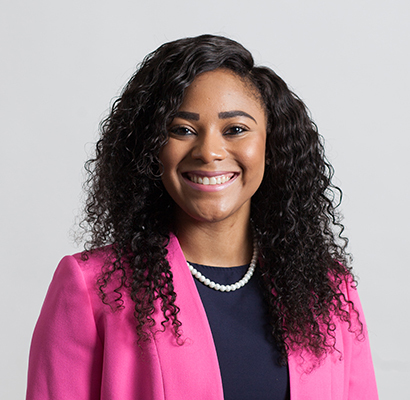 Armstrong, who also received a MBA and a bachelor's degree in Political Science/Spanish from Samford University (2012), currently serves as Staff Attorney in the Montgomery Office.